Signal Cable FT2 100 by Connection with highly transparent clear outer jacket for enhanced cosmetics. Highly transparent clear outer jacket for enhanced cosmetics. 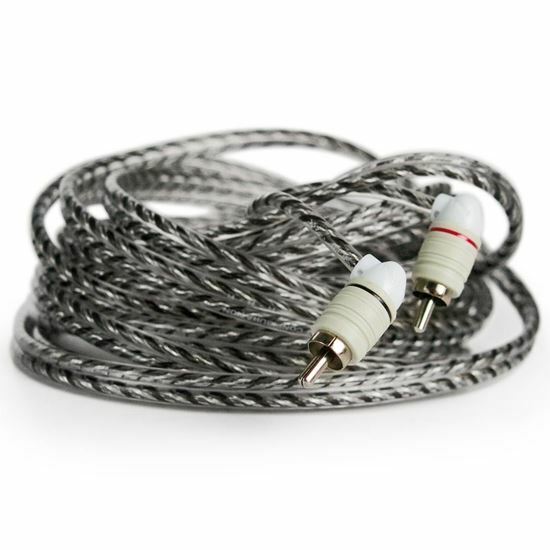 Balanced twisted pair, silver finished conductors ensure noise rejection. Nickel plated connectors with split tip for improved performance and reliability. Right angle connector on one end to aid in tough installations. TUG-PROOF sealed internal connection for maximum reliability. MOLDED Y BLOCK for protection of the conductors in critical split point. “PROFESSIONAL GRADE” performance.